Of all of the areas in a home that rodents and other pests could infest, the attic is the most common. The attic is spacious, dark and rarely visited by the other inhabitants of the home, which makes it the perfect place for unwanted visitors to make themselves at home. And even once you are able to eliminate an infestation, there is often a huge mess left behind, which may include animal feces or urine in the insulation, food and food waste, mold in areas soaked by urine, nasty odors, damaged drywall, devastated flooring and more. Attic restoration is essential after an infestation. #1. Rodents can carry diseases. One of the biggest reasons why it’s important to hire a specialist to come out and restore your attic for you is that rodents can carry dangerous or even deadly diseases, including hemorrhagic fever, the Bubonic plague, Salmonellosis and Lassa Fever — many of which can be transferred to humans. Professionals know how to clean up and decontaminate properly, which will help to keep you and everyone else in your home safe. #2. Pests can damage your home. People are well aware of the fact that pests can leave their droppings, leftover food, food waste, etc. after an infestation, but a lot of people don’t realize just how much damage pests can do to their home. Pests can chew through drywall, make nests in insulation, damage flooring, wreak havoc on siding and even mutilate electrical wiring. The professionals are well equipped to spot and repair this type of damage, and if structural damage results from an infestation, they can help you determine the best next steps. #3. You have better things to do with your time. For most Americans, life is increasingly busy, and many of us barely have time to catch up on our favorite TV shows or make it through a chapter of a book, let alone the time it takes to get your attic back to square one after an infestation. 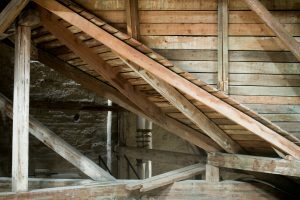 Attic restoration takes time and energy, and it takes even more of these things if you don’t have the proper tools, equipment or experience. Do you really want to spend the little free time you have scraping up rat droppings or replacing urine-soaked insulation? Save yourself the headache by hiring a professional instead. For attic restoration in Belton you can trust, choose Wildlife X Team. 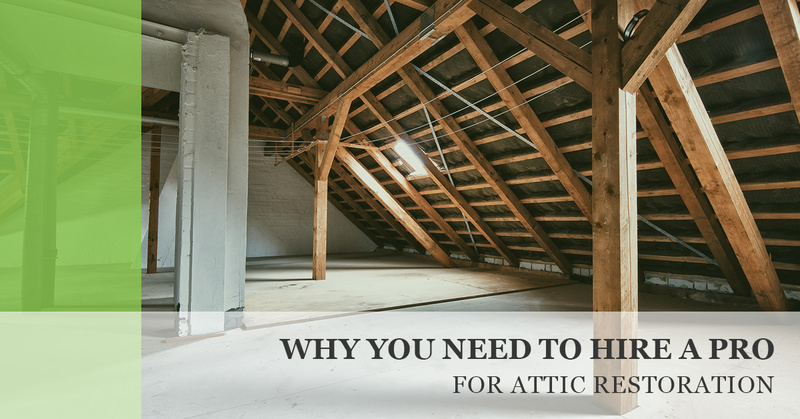 There are so many reasons to hire a professional for attic restoration, and we’ve only covered a few of them. In addition to attic restoration, we also offer pest control, so whether you have an active infestation or you’ve recently had one, we can help you get rid of unwanted pests and restore your attic back to its former glory. Schedule your appointment today!